217: Costume College Day 1: Ice Cream Social, Yay! 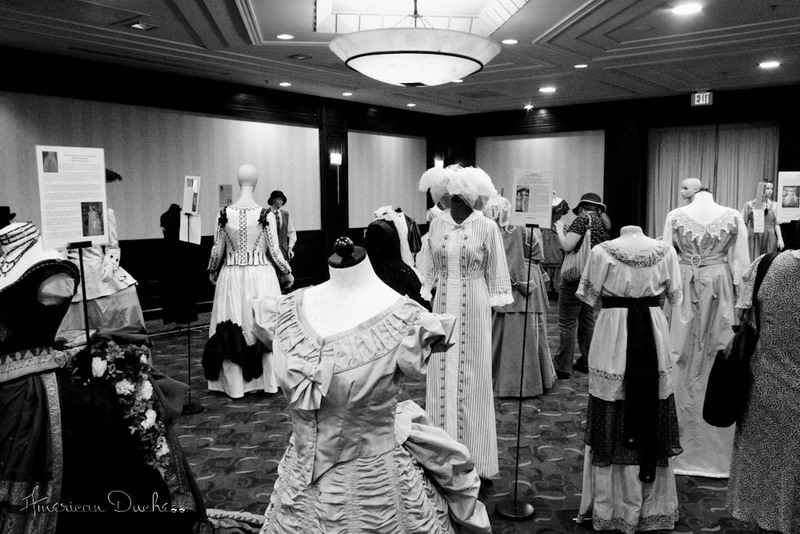 Costume College is *awesome* ! 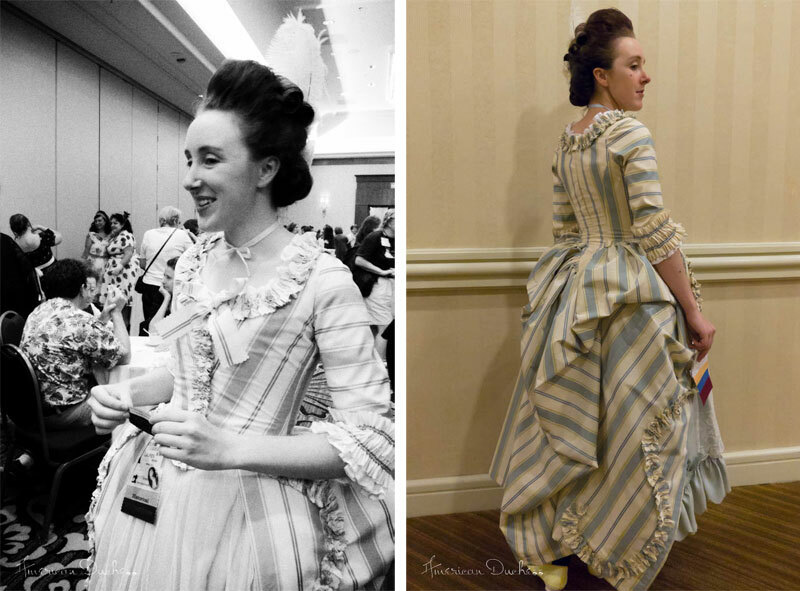 So far I've met tons of wonderful people, learned all about proper sleeve drafting, altering, and fitting, and made some indestructible 1770s rolls to clip into future huge poufs. 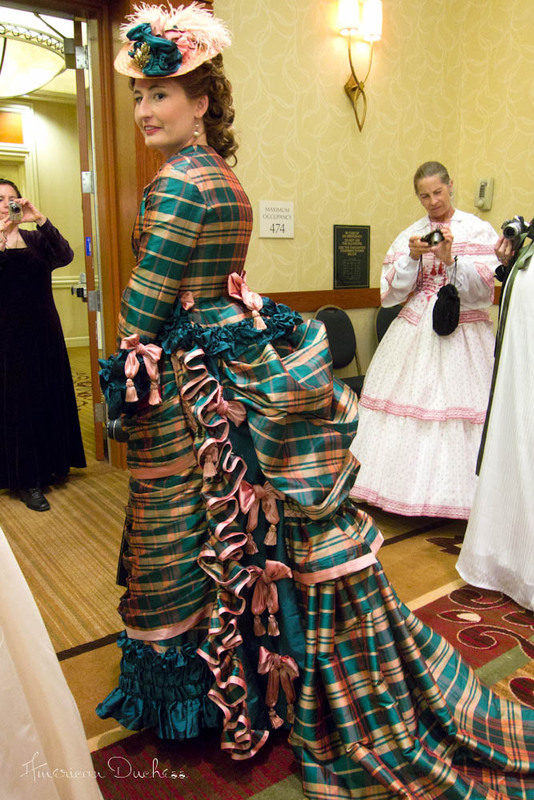 Wearing History's Lauren M in her unbelievably gorgeous plaid bustle gown. 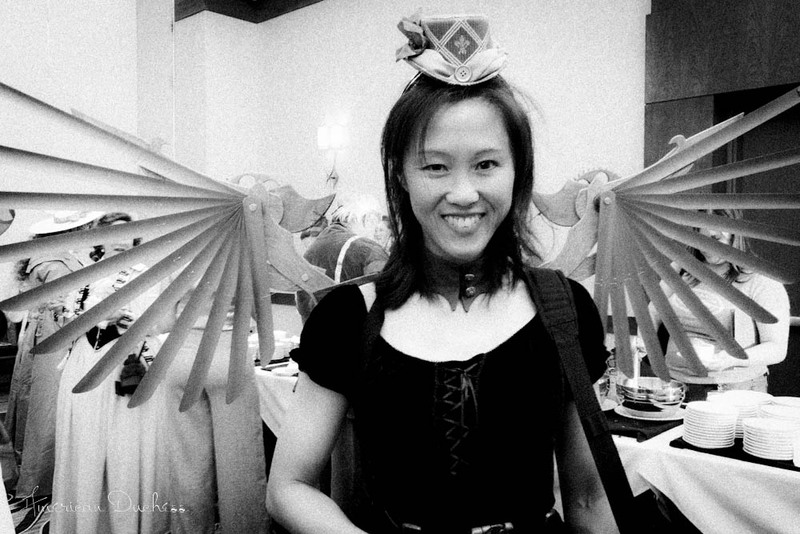 Articulated steampunk wings. So cool! The gown in the costume display room, a great change to get up close to some of these incredible ensembles I've seen online. I wore my new robe a l'Anglaise a la Polonaise to the Ice Cream social, and even got to use some of the hair rolls I made earlier in the day, in my hairstyle. I have MUCH to share! So much useful information! The next best thing to being there! Thank you so much for sharing. I'm a definite wannabe and really enjoy your blog. Thank you! 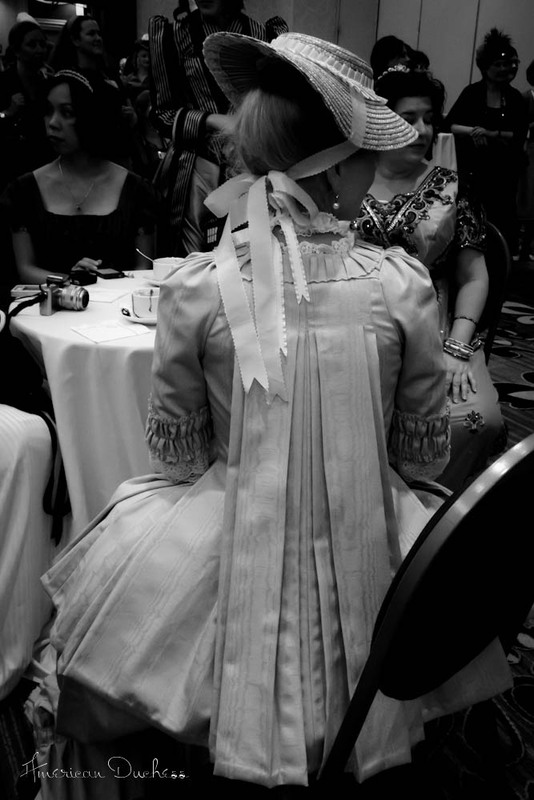 I will post more photos for tomorrow, too - tonight is the big Time Traveler's Gala event, sure to be full of amazingly dressed ladies. When I saw the Victorian cowgirl I thought "I love that outfit!" then I scrolled down and saw it was your mom. She rocks! I will pass on your compliment! 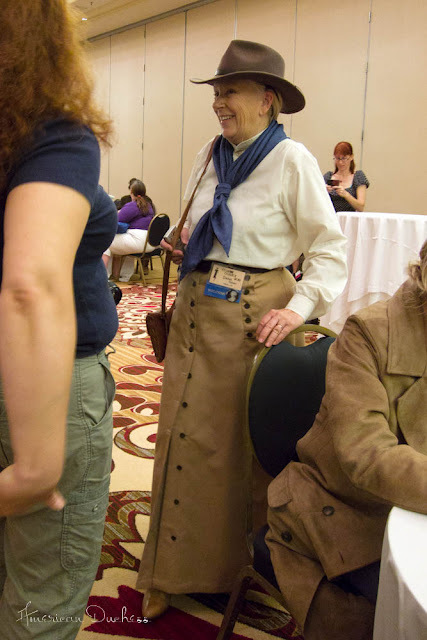 She's down horsework in her riding skirts too. They are very comfortable to ride in! Looks like you have great fun, first picture very beautiful. 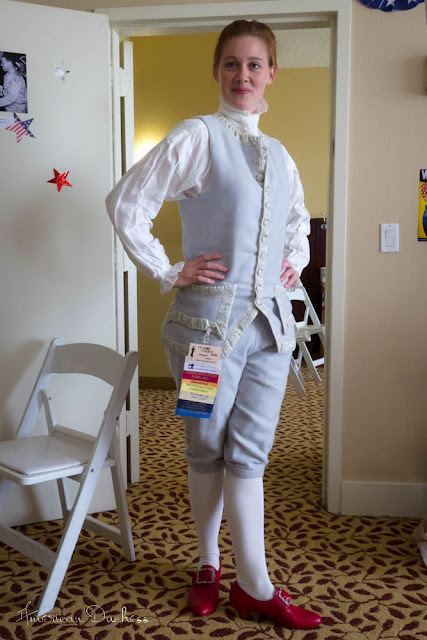 Good dress up in this album. I want to go there some day! Wow! I saw you with this gorgeous dress and cut my breath .... My heart skipped a beat and stand for a few seconds .... Love, love, love it! I don't think I properly introduced myself but it was great to meet you at Costume College. I thought your hair was killer and such a lovely striped dress!